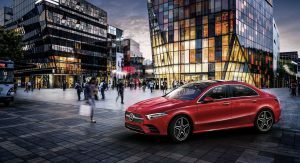 Produced exclusively by the Daimler – BAIC Motor joint venture, the China-only A-Class L Sedan brings CLS styling and S-Class safety tech to the compact 4-door segment. 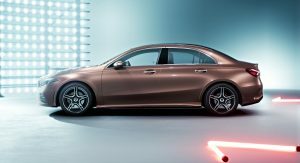 Mercedes will eventually unveil another version of the saloon, tailored specifically to customers outside of China, sometime in the second half of the year. 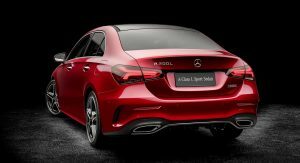 It’s likely that car will drop the ‘L’ designation and be known simply as the A-Class Sedan. 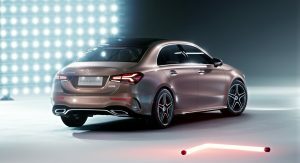 According to Mercedes, the Chinese A-Class L Sedan features highlights such as multiple innovative driving assistance systems borrowed from the S-Class, as well as the MBUX system’s intelligent voice control with natural speech recognition, which is of course proficient in various Chinese dialects, including Sichuanese and Cantonese. 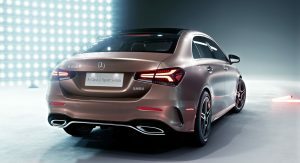 With regards to styling, the A-Class L Sedan is meant to reflect the “purist, surface-accentuating design” of the automaker’s latest design philosophy, dubbed Sensual Purity. 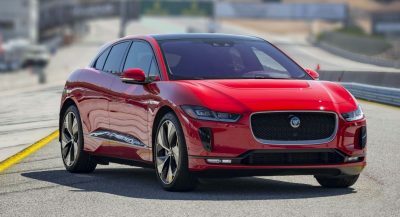 It reflects in the short overhangs (front and rear), a sleek side feature line, progressive front fascia, pronounced shoulders and a compact rear end – the latter housing two-piece taillights, while the reflectors have been moved lower down in the bumper. 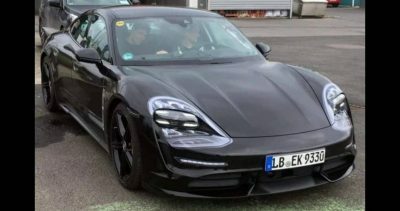 Chinese buyers will be able to choose between two versions of the car: Sedan and Sport Sedan, the latter featuring power domes on the bonnet. 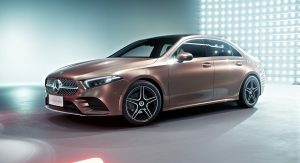 Other choices will include deciding between having 16 to 19-inch wheels, as well as whether or not you should opt for the China-only Rose gold exclusive paint finish. 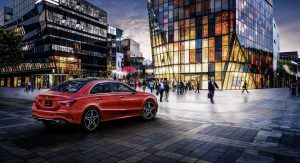 Like the all-new hatchback model, the cabin of the A-Class L Sedan features a wing-shaped main body, free-standing widescreen infotainment display, up to 64 colors’ worth of ambient lighting, turbine-look air vents and all the other 2018-worthy goodies. The MBUX multimedia system boasts the popular WeChatMyCar app and comes with intelligent voice control, speech recognition and artificial intelligence. 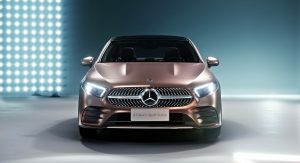 In fact, Mercedes is the world’s first automaker to provide a navigation display featuring augmented reality technology on the Chinese market. 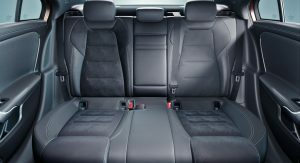 Mercedes developed the A-Class L Sedan with a focus on knee room for rear passengers. Thus, the wheelbase is larger by 60 mm (2.36 in) and comes in at 2,789 mm (109.8 in), compared to the hatchback’s 2,729 mm (107.4 in) wheelbase. Overall, the car measures 4,609 mm (181.4 in) in length, 1,796 mm (70.7 in) in width and stands 1,460 mm (57.4 in) tall. As for the boot, it has a capacity of 420 liters (14.8 cu.ft). 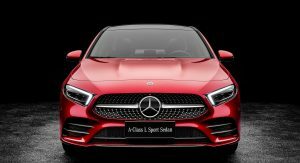 At market launch, Chinese buyers will be able to purchase their A-Class L Sedan with a 1.33-liter four-cylinder engine, boasting power outputs of 100 kW (136 PS) and 120 kW (163 PS). Later on, a 2.0-liter four-pot will be available too, with an output of 140 kW (190 PS). The 7G-DCT dual clutch automatic transmission is standard across the board. 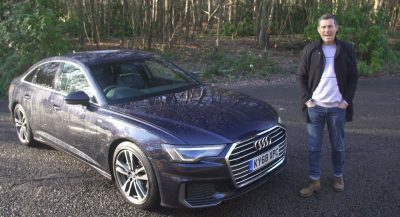 Not bad, but the Audi A3 sedan looks better. Not sure what you are smoking…there is no comparison. I like it. Maybe it could be more affordable than the CLA. If so, I think I would buy it. Just hoping they would sell it in Indonesia. Sadly the price won’t be cheaper. A Class Sedan was made primarily for people who think CLA is not practical and they need something bigger. Very nice indeed,BMW could learn a lot from Daimler design wise. Agreed BMW designs are falling behind the pack in my opinion, especially their interiors! Please bring this stateside Daimler! 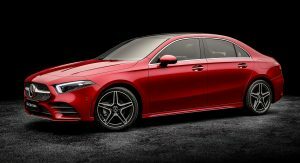 Yeah its been reported only the A Class sedan not the hatchback will becoming to the USA! I personally really like the hatchback version which will luckily be sold in Canada along with the sedan version! The back part looks really really weird to me. 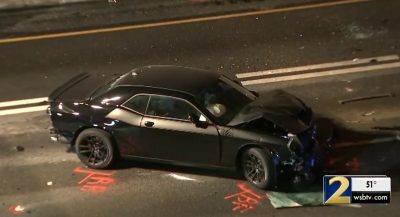 It’s cant be worse than the CLA. It’s a 2+2. Lol. Soon to be the Mercedes you see everywhere in the states. I was expecting worse but this looks pretty good. It‘s not stunning but neither is it bland or offensive. A very predictable and neutral design. A shame there won‘t be a wagon version of it. Finally… they got rid of the fake headrest power seat control. I wondered how it would differentiate from the CLA, but this looks more like an A3 sedan than a coupe. 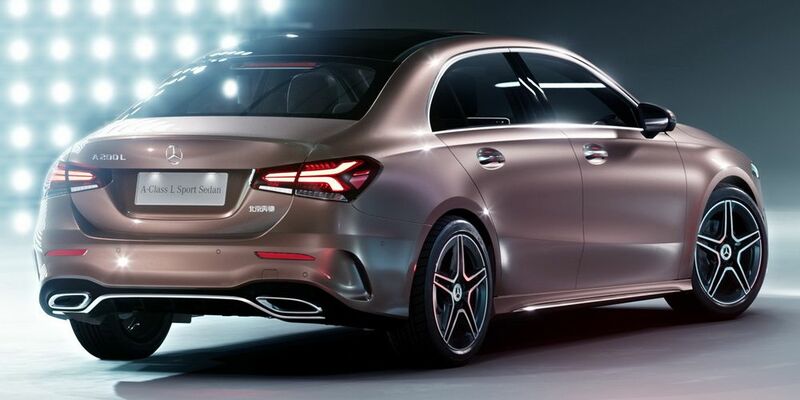 The rear really reminds me of a smaller C Class with its door and trunk shape. Looks great overall! It’s a good thing even though it’s FWD that the front overhang doesn’t look all that long. I think I found my next new car. I love it. The proportions are just right. So this is replacing CLA? 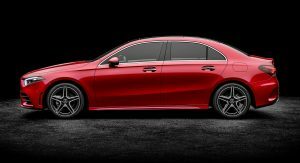 Complimenting CLA, A Class sedan is for people who wants more space and conventional styling rather than “4 door coupe” of CLA. Everything apart from the front end is very appealing to the eye.